Your online gaming, tech, and random news and review site! This is the home of where I, Kassquatch, will be bringing you a one stop shop for reviews, gear, and news for tech and gaming stuff with a little bit of random things also. I do both written and video reviews to don’t forget to check out my youtube page! I will start off by saying this. I do not sugar coat my reviews to gain anything. If someone sends me something to review. I will review it on what I believe. I do not get paid off to write good reviews. Well I don’t get paid at all actually. So that brings me to my next point. If you like my reviews and find them helpful, feel free to donate to help keep the site going. Anything helps. Click on the donate box on the side of the page! Your name will be added to the list of donors. If you want something in exchange for your generosity, you could always shop at my amazon store. Same great amazon store and pricing, I just get some kick back. 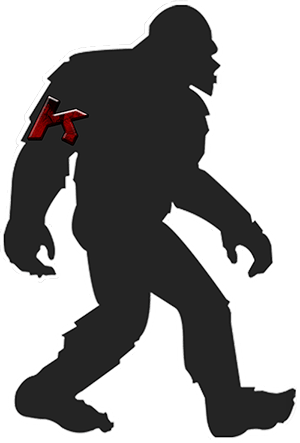 Finally, I’d like to thank you for becoming part of the Kassquatch network and hope you find it useful! Don’t forget to tell your friends! Spread the word!